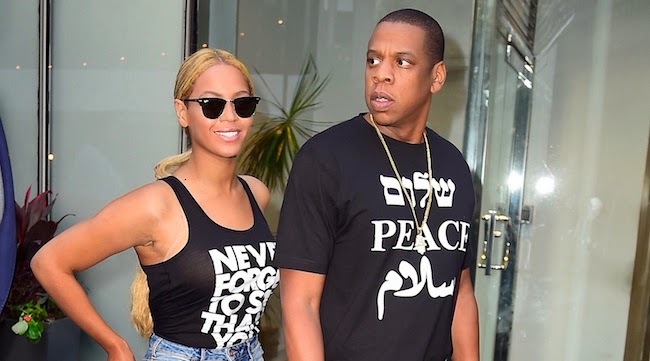 iGRIND4REAL: ***HOW A POWER COUPLE SPENDS MONEY*** #CelebNews Jay Z, Beyoncé Spend Thousands Bailing Out Baltimore And Ferguson Protesters! ***HOW A POWER COUPLE SPENDS MONEY*** #CelebNews Jay Z, Beyoncé Spend Thousands Bailing Out Baltimore And Ferguson Protesters! Some power couple just don't spend money on lavish things. 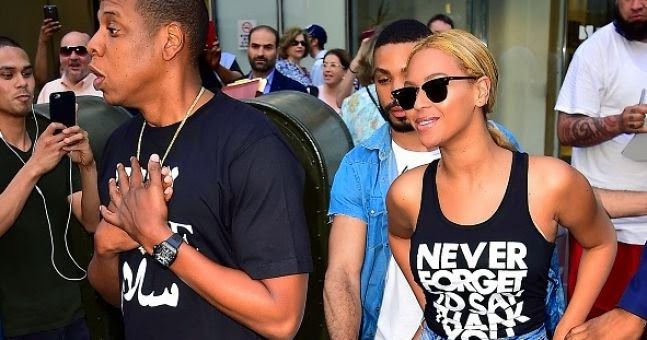 Some, like Jay & Bey, spend it on a good cause. 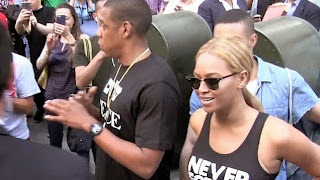 The NY Daily News reports: Jay Z and Beyoncé bankrolled protesters in Baltimore and Ferguson with tens of thousands of dollars in bail money, a writer and social activist close to him claimed. 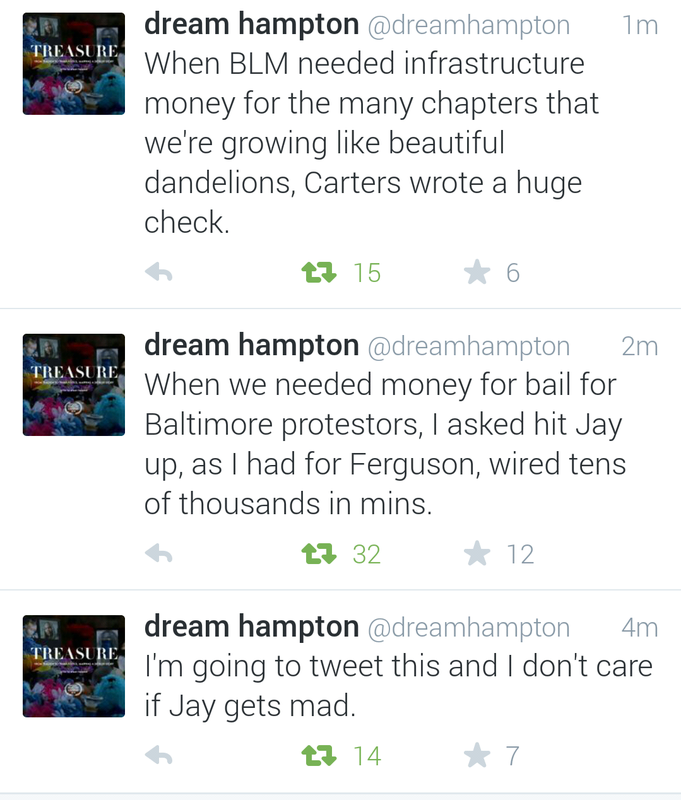 icity,” author dream hampton told the Daily News in an email. The writer, who collaborated on Jay Z’s book “Decoded,” first revealed the power couple’s behind-the-scenes support in a series of tweets on Sunday morning. Jay Z and Beyoncé do “more stuff, too much to list actually, that they always insist folk keep quiet,” she wrote. Even though she pulled down the posts, hampton stands by her words. “It’s true,” she told the News. “I erased because I didn’t want on Twitter.” Thousands of people across the country protested the death of Michael Brown, an unarmed black teen shot dead in August 2014 by a white police officer in the small Missouri town of Ferguson. Jay Z supported the rally by matching donations made through its site to the “Baltimore Justice Fund. “We invite all to experience the music and contribute in their own way to promote peace, tolerance and understanding," the Brooklyn-born rapper said in statement at the time. "Our prayers go out to Freddie Gray's family and every family affected by brutality and senseless violence." A rep for Jay Z couldn't immediately be reached for comment.